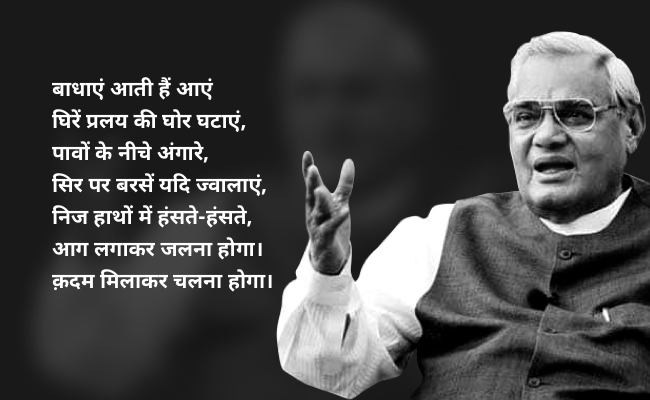 Atal Bihari Vajpayee passed away at the age of 93. 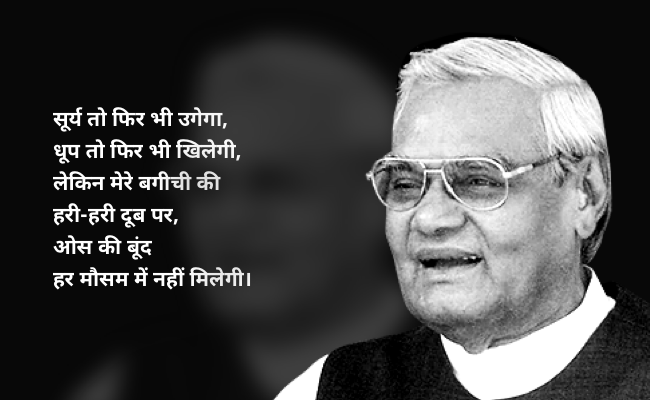 He was three-time Prime Minister of India and one of the country’s most respected politicians. 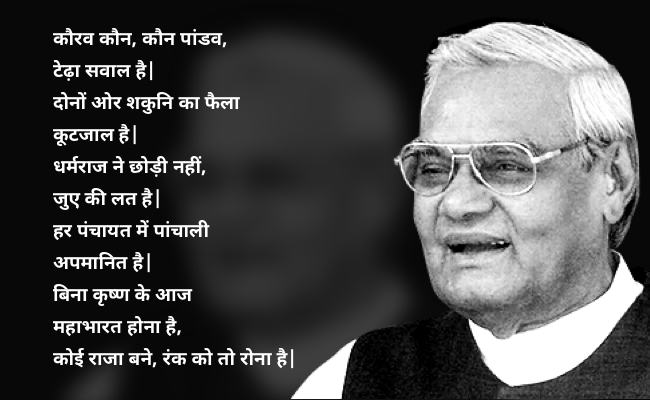 Leaders like him born rarely so his death is a great loss to the nation. He was a man of extraordinary talent. 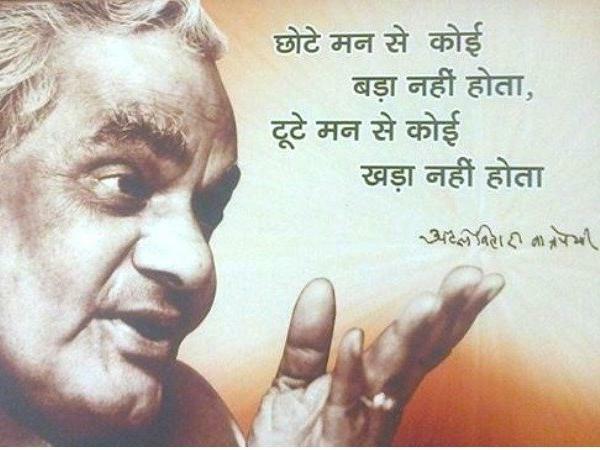 On the political fronts, he had led BJP to pathbreaking electoral victories and put an end to Nehruvian era. Apart from this, he was wonderful orator and a miraculous poet. His poetry skills are well known. His poems have been written with great consideration and possessed deep meaning of life. 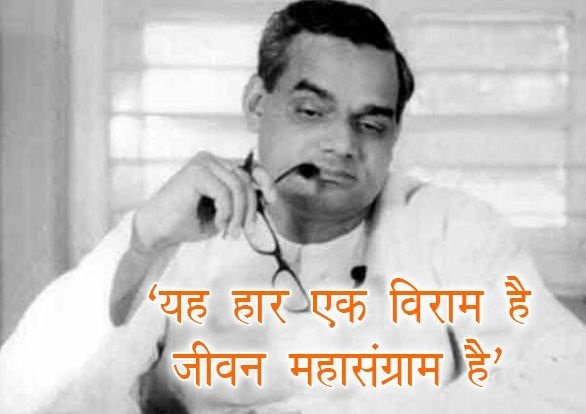 Atal Bihari Vajpayee jotted down his ideas on social and political issues. The compilation of his poems and speeches are also available. Check out few of his amazing pieces. He was under observation of the team of doctors of All India Institute of Medical Sciences (AIIMS) and took his last breathe on August 16. 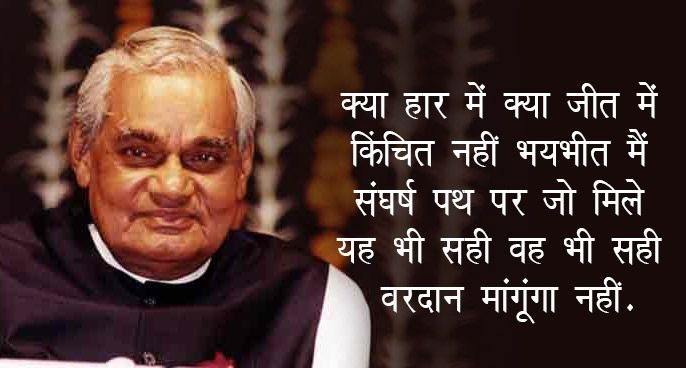 As a mark of respect to the former prime minister, the central government has announced a seven-day national mourning.Today, his last rites will be performed and will be cremated with all honours at Smriti Sthal in the national capital. 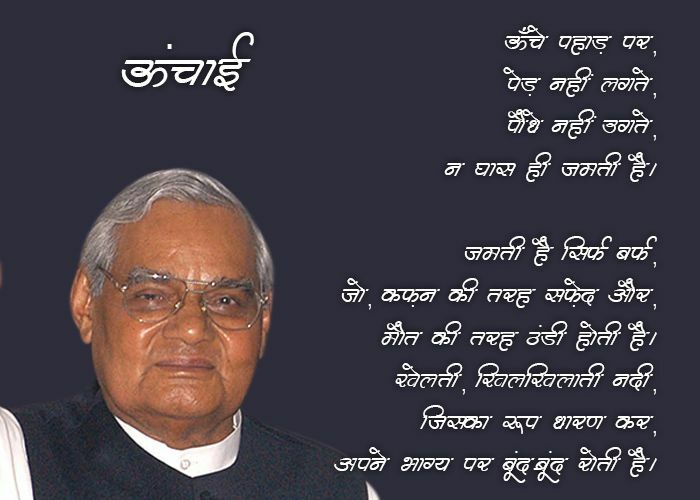 His funeral procession will start from BJP Delhi office for the Smriti Sthal and the last rites would be performed at 4 pm.